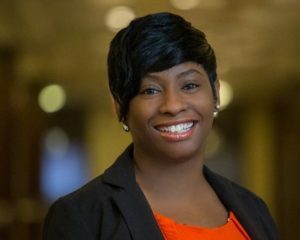 ASCO is proud to announce that LaShawn Sidbury, CMP, CAE, has successfully completed the ASAE Certified Association Executive (CAE) examination administered in May. LaShawn joins more than 4,300 industry leaders worldwide in obtaining the highest professional credential in the association industry. The CAE program is accredited by the National Commission for Certifying Agencies. The exam is designed to identify association professionals who are ready to step into the executive director role of an organization of any type or size. Less than five percent of all association professionals have achieved this mark of excellence. By obtaining the CAE, LaShawn has demonstrated a commitment to the association industry, her own career, as well as a wide range of knowledge essential to manage an association in today’s challenging environment. “All ASCO staff, including myself, are very proud of LaShawn,” says ASCO Executive Director, Dawn Mancuso, MAM, CAE, FASAE. “Having taken the CAE exam myself, I know how hard she worked and how challenging the entire process is. LaShawn is a vital member of the ASCO team and it’s been a privilege watching her grow and excel as our Director of Meetings and Special Interest Groups. LaShawn, along with 250 new CAEs, will be honored during the 2018 ASAE Annual Meeting & Exposition in Chicago in August.